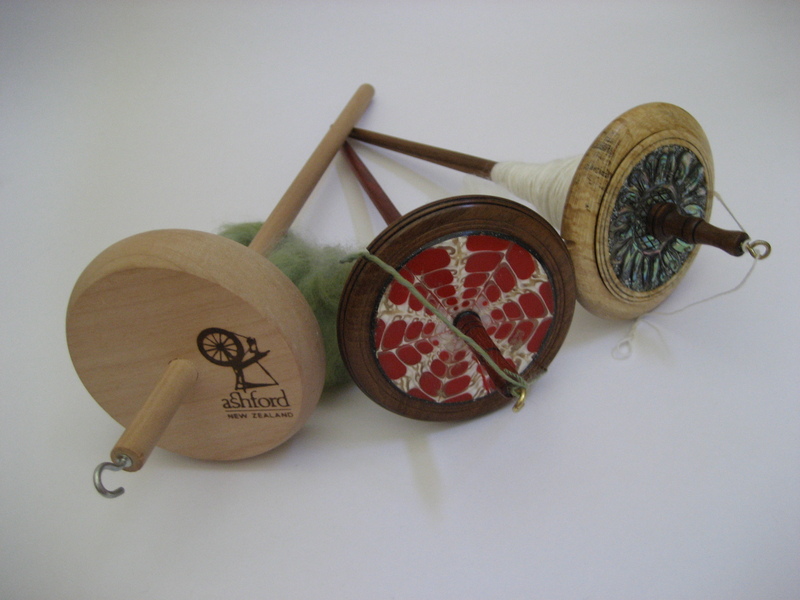 Ooh and I forgot to mention in my last post that I have a new Ken Ledbetter spindle, purchased from Spunout. It’s a walnut and shell mosaic around 40g. Yes, I admit that I do have a slight addiction but it’s hard not to when they’re this flipping pretty and spin so well. 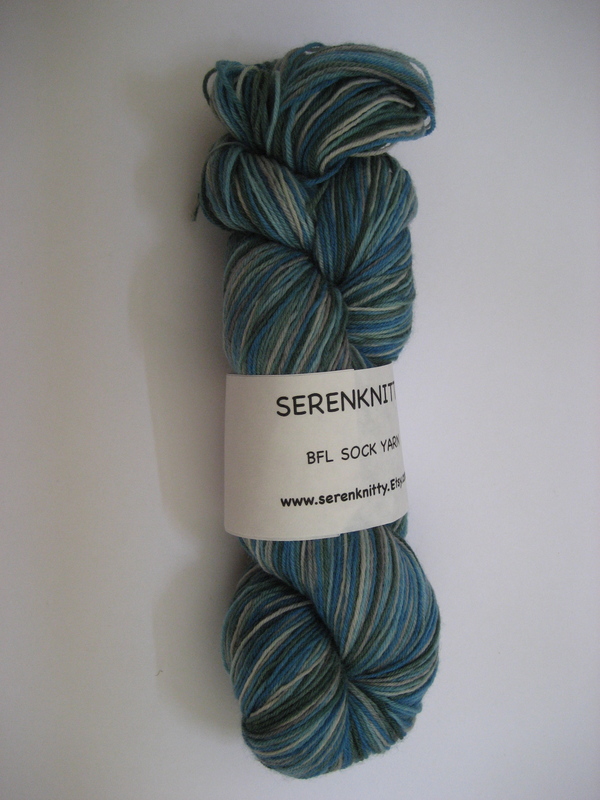 The postman came twice this week, the first time to deliver my sock yarn from Serenknitty in two beautiful blue shades. Mmmmmmmmmmmmm yummy blue faced Leicester in Neptune colourway, possibly for Leyburn socks by mintyfresh. It will be my second pair of Leyburns as I think it’s a gorgeous looking pattern. 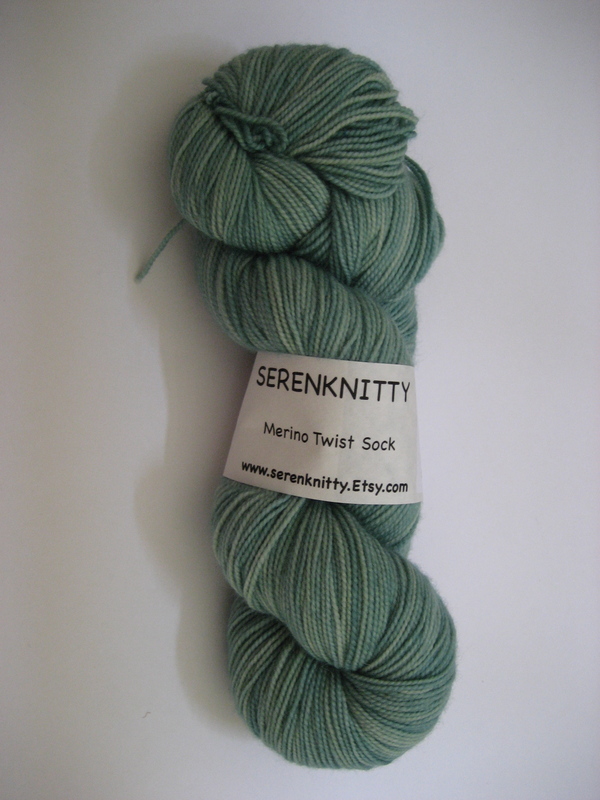 Superyummy superwash merino in my favourite eau de nil/duck egg shades colourway Seaglass. Lush! I’m planning to make lakehouse socks by Jasmin Köck with these because I think the name fits the colour. The second time the postie came he had a conversation with the boys. Apparently it’s always the same guy and he’s English too and he was intrigued to know what was in all these parcels. The boys told him “mostly wool and knitting stuff” he looked rather amused apparently. I’m due another delivery soon a really special one from Baaramewe, I can’t wait to show you all. 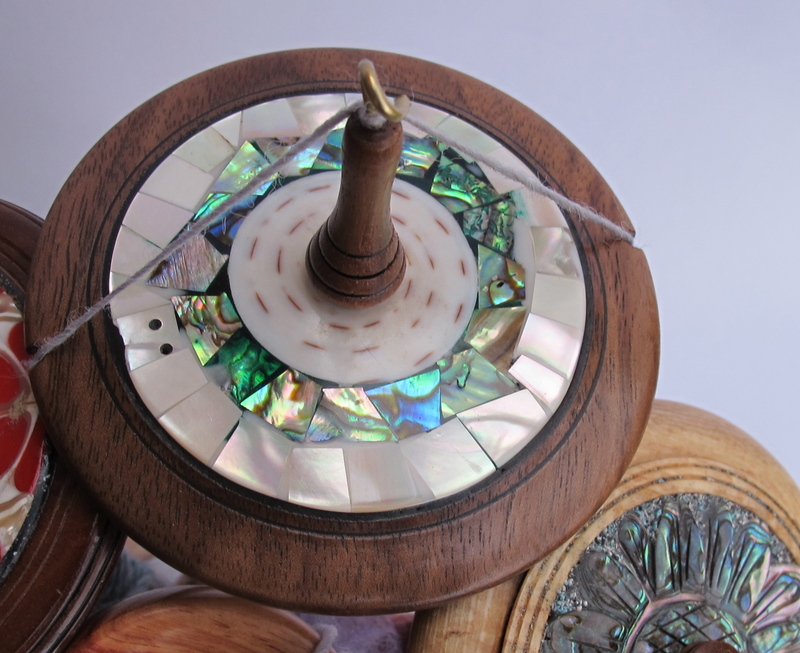 The newest one is the red leaf design, it’s made of bloodwood, walnut and shell, completely one of a kind and utterly gorgeous to spin with. Factors that also influenced my decision were portability and ease of use, I can spindle for ages or in those snatched minutes whilst the pasta cooks or I’m waiting for the computer to do it’s thing. The spinning in snatched moments tends not to happen with the wheel don’t know why. Also, I have to admit getting a kick out of using a tool that was used way back in ancient times. 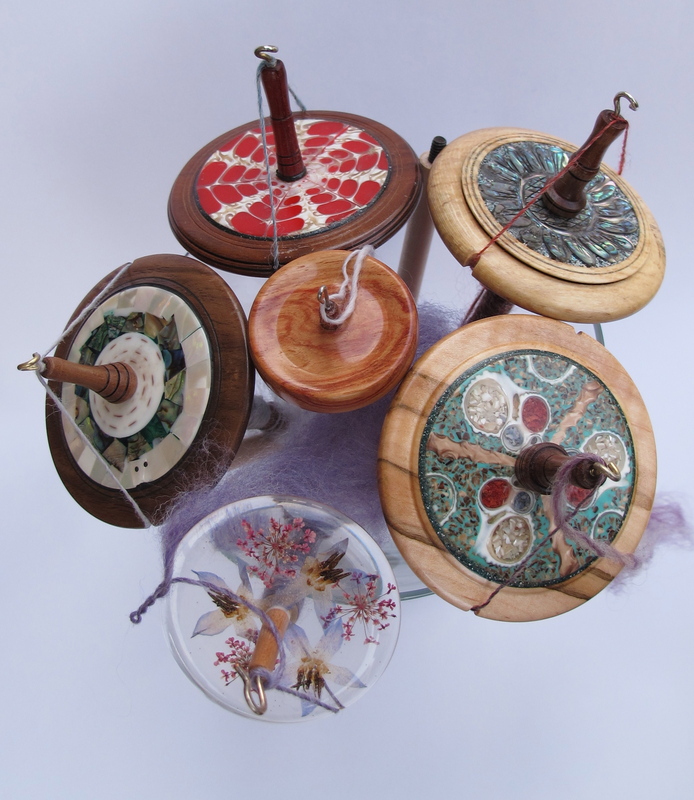 Plus, they are so brilliantly simple and I can spindle on a plane without anyone thinking I pose a security threat. I’m going to make the most of my remaining two weeks with the wheel but I don’t think I will be as sad to part with it as I originally thought. I’ve decided to make a Hap blanket by Ysolda Teague with my handspun yarn. Tomorrow we are learning about dyeing yarn and fleece, as you can imagine, I’m very excited about that. I’m going to miss the last class though due to a yoga retreat I booked ages ago.